This quintet of intriguing vehicles will debut at SOWO: The European Experience on Hutchinson Island in Savannah, Georgia. 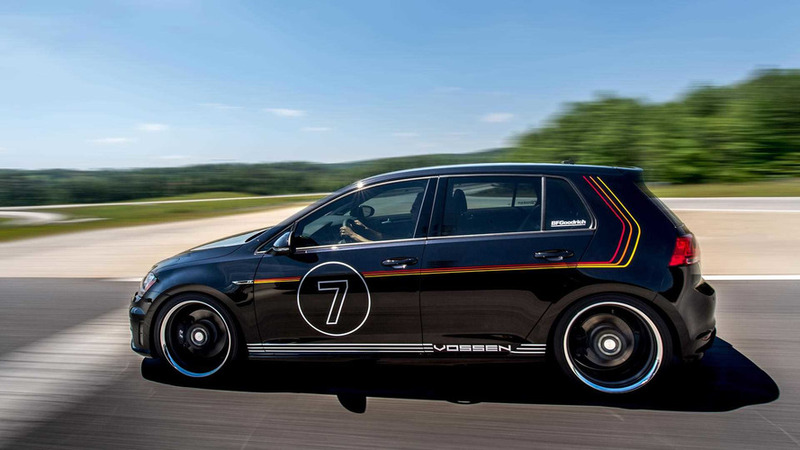 Volkswagen has a very nice surprise for its ardent fans in the United States because the German brand has have new concepts with enthusiasts specifically in mind. 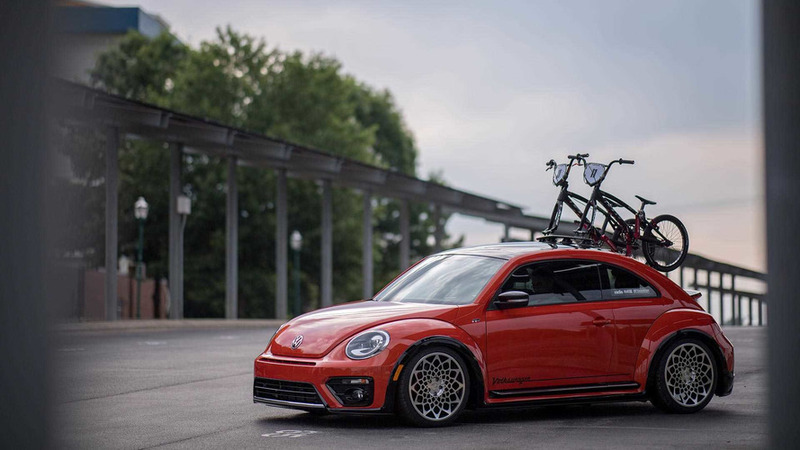 They’re based on the Alltrack, Beetle, GTI, Golf R, and Jetta GLI, and each one is sure to find fans that hope VW puts something like them into production. The Golf GTI RS Concept is the member of the group that should get the most love from traditional performance enthusiasts. It features an aesthetic that borrows cues from the Porsche 911 GT3 RS, especially the script running down the side of this hot hatch. A widebody kit from Rocket Bunny bestows this machine with some seriously broad rear fenders. A big rear diffuser adds to the menacing look. Inside, the front seats are now leather-trimmed racing buckets. The rear bench is gone, and a roll cage takes its place. 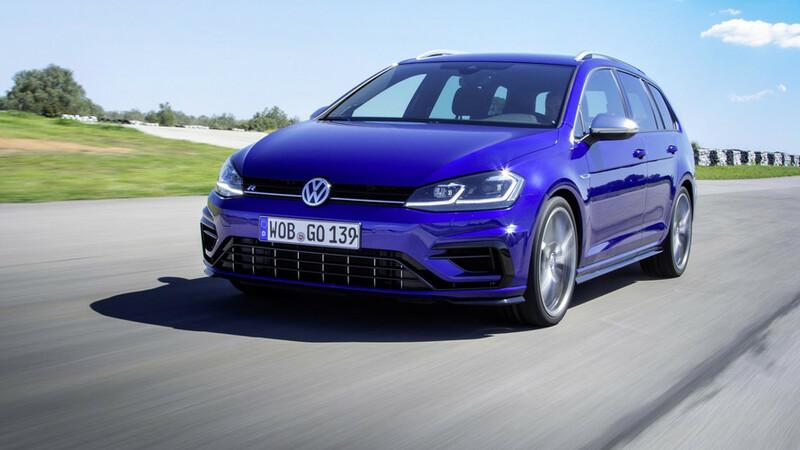 The Golf R Heritage Concept offers an alternative take on the usual hot hatch. 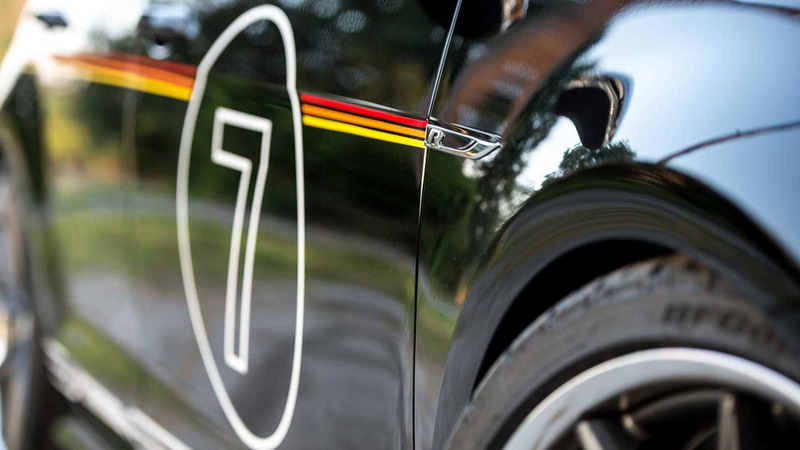 The black VW features a red, orange, and yellow stripe that references the German flag. 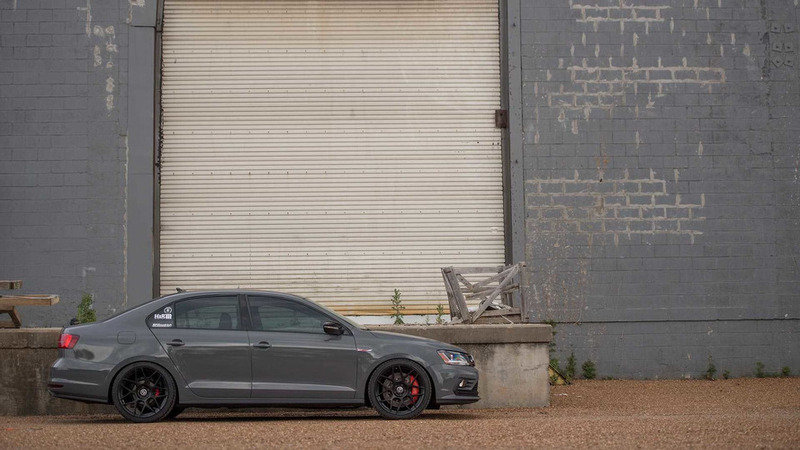 Vossen wheels have a matte gunmetal finish with polished outer rims. A set of lowering springs completes the look. While the GTI RS and Golf R Heritage concepts look aggressive, their appearance might be too ostentatious for some driver’s taste. 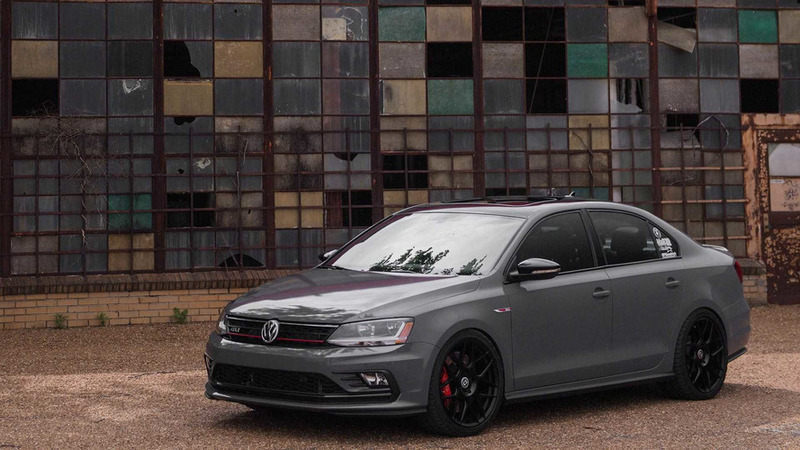 For them, the Jetta GLI Nardo Concept might be a better choice. This one has a body in Audi’s Nardo Grey paint, and the HRE wheels feature a dark Tarmac finish. A set of H&R coil overs lowers the ride height. 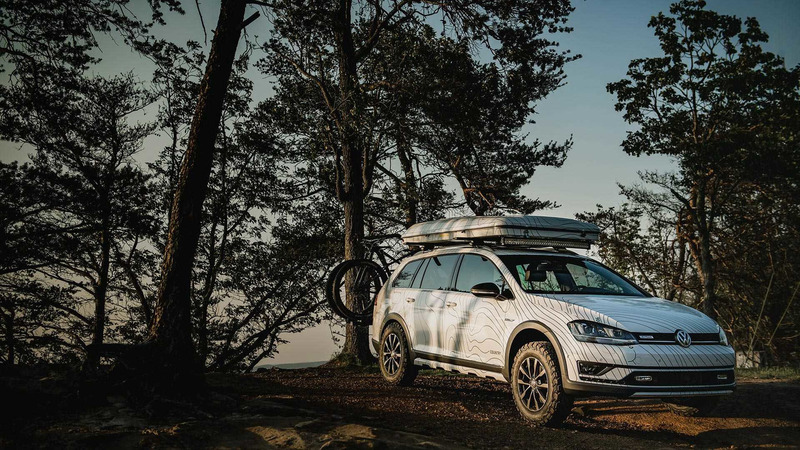 The Golf Alltrack Country Concept has a completely different enthusiast in mind. This high-riding wagon is ready for camping, including a 2-inch suspension lift for getting around off road and extra fog lights. There’s no need to worry about finding a spot to pitch a tent because there’s one mounted on the roof, and it has a amenities like a solar panel and solar-heated shower. An entertainment system is hidden in the cargo area for watching movies by the fire. When the time for an adventure comes, two Trek Stache 9.6 mountain bikes are mounted on the back of the wagon. 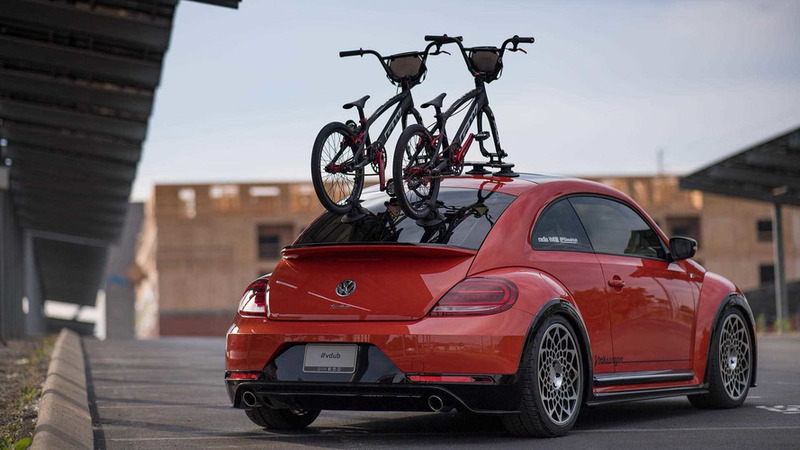 Biking enthusiasts might also enjoy the Beetle Post Concept. BMX rider Alise Post mounts a pair of custom GW cycles to the back. For style, the vehicle has 19-inch Mr. Drama Queen wheels, and H&R coil overs lower the ride height. The vintage Volkswagen lettering on the sides is an especially neat detail. 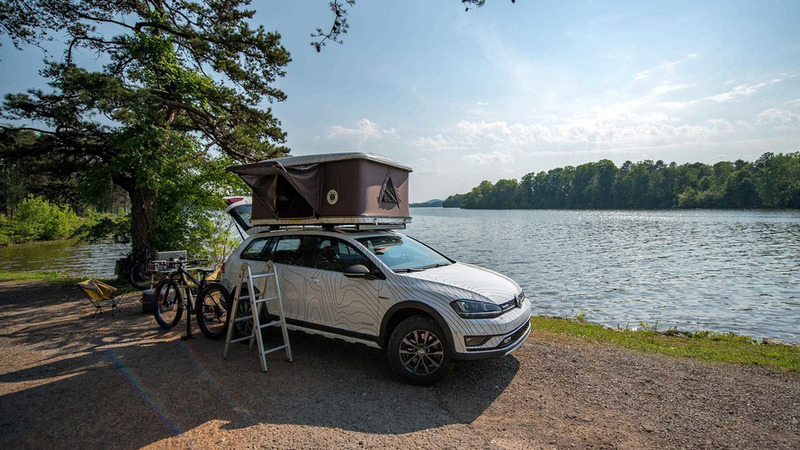 The five concept will debut at SOWO: The European Experience on Hutchinson Island in Savannah, Georgia, and they’ll be on display together from May 19 through 21.
vehicles are inspired by the diverse interests of Volkswagen enthusiasts. vintage lettering on the doors give an added retro vibe to this Beetle. Over system and BFGoodrich® G-FORCE™ COMP-2 A/S™ tires for a more road hugging appearance. 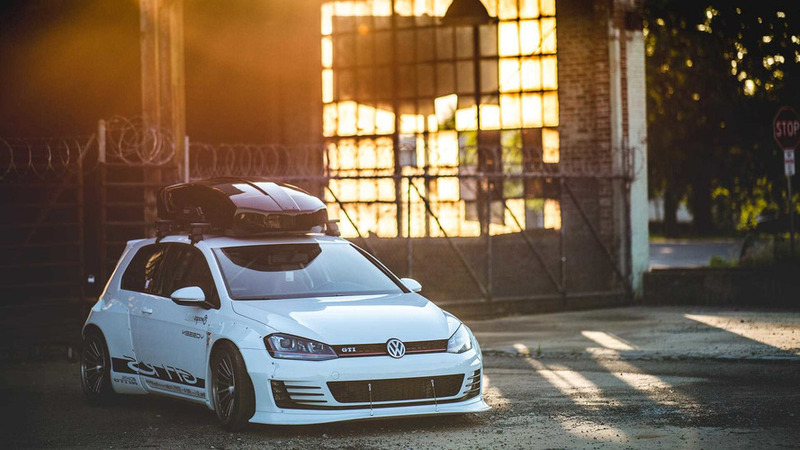 Concept rolls on Vossen wheels and features a Thule carrier box with custom, low-profile roof crossbars. to factory specification—which is what most R owners tend to do. lift and 15-inch wheels fitted withBFGoodrich All-Terrain T/A KO2 tires. vehicle is ready to keep up with the demands of even the most daring weekend adventurer.